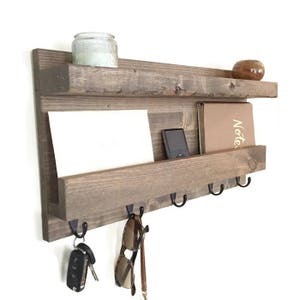 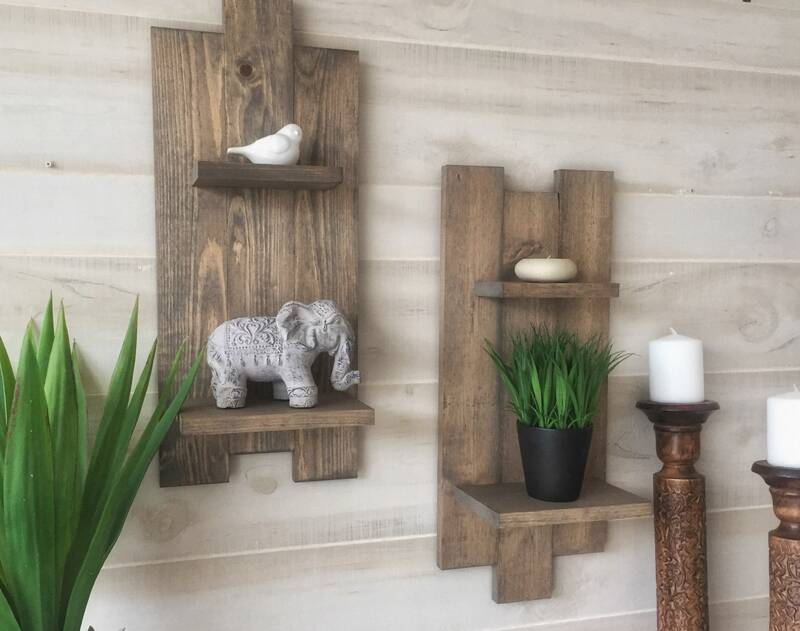 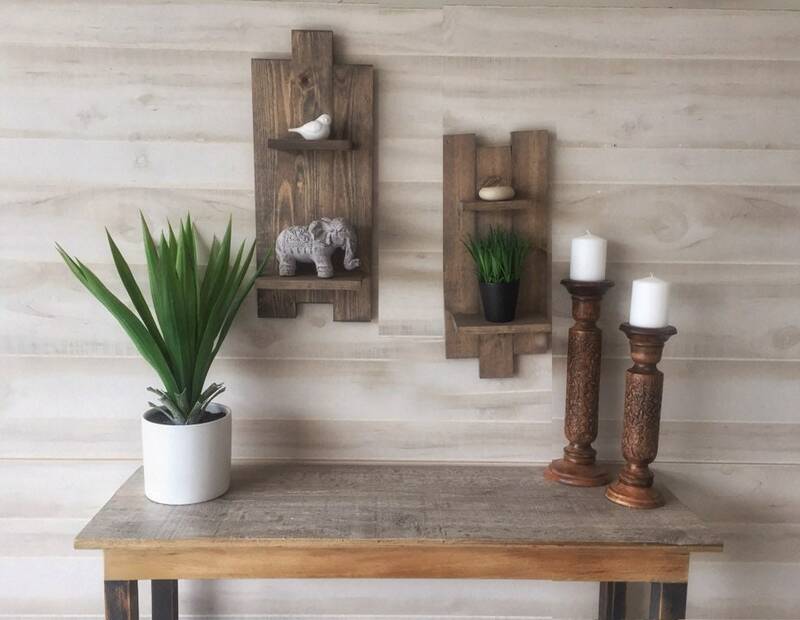 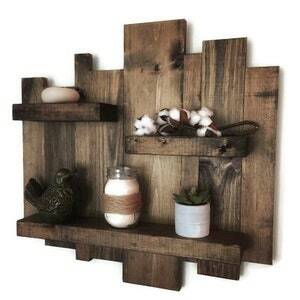 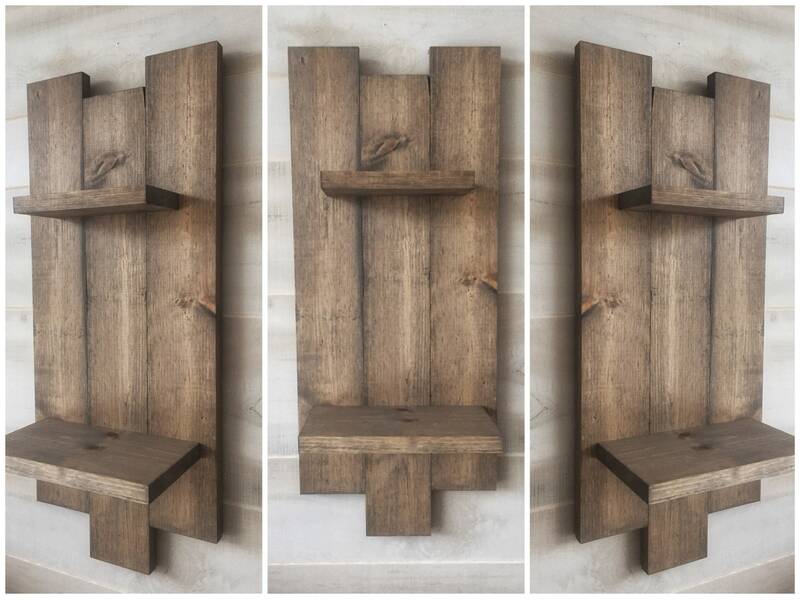 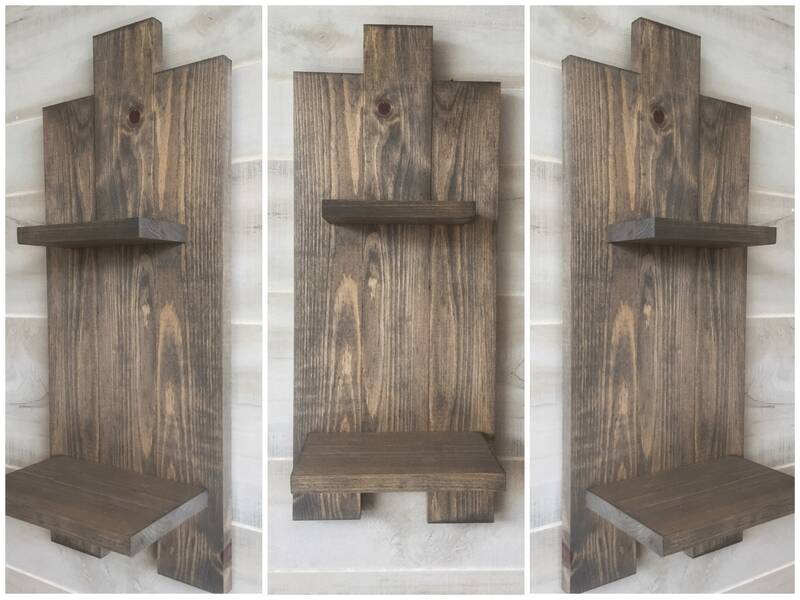 These pallet style wood shelves are just the thing you need to add that special touch of charm to your space. 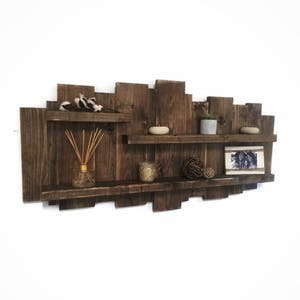 - Single unit extends roughly 28” from highest point to lowest point. 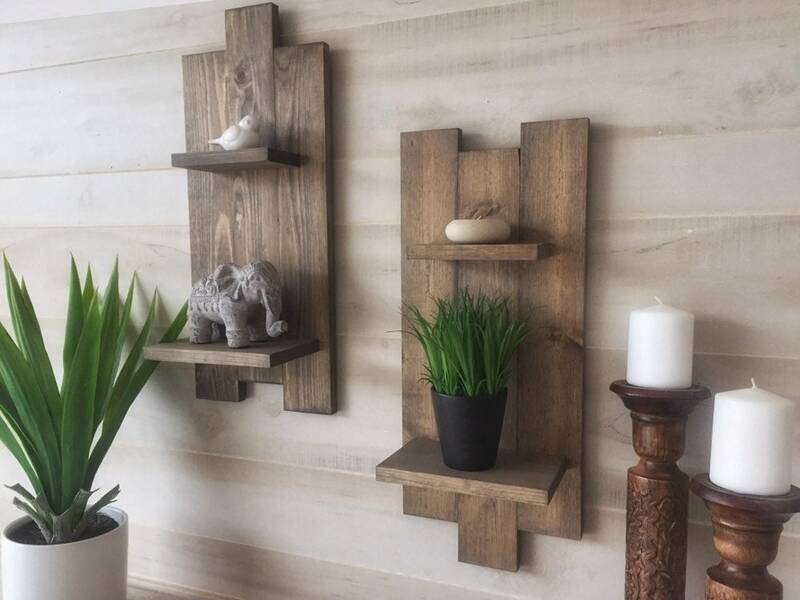 Wood grain may vary slightly from piece to piece but we guarantee your shelves will strongly resemble the ones pictured in the listing.